Awonder Liang and Carissa Yip entered the day only needing a draws to clinch their respective championships. 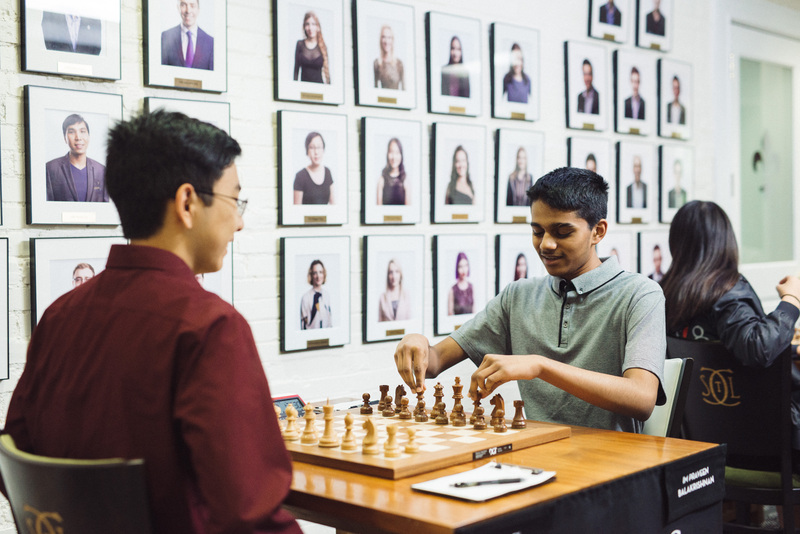 Conversely, Advait Patel and Jennifer Yu, the only players within a point of the leaders, faced must-win games with everything on the line. 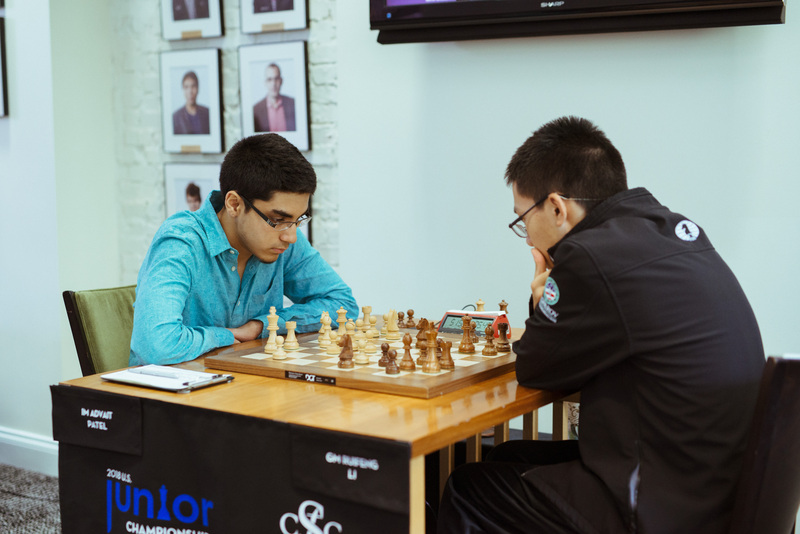 Awonder Liang gained a comfortable advantage from the opening against Akshat Chandra, which he used to gain a pawn and trade into an ending. The players agreed to a draw on move 30, giving Liang his second U.S. Junior Championship title in a row. Despite now being out of the running for 1st, Advait Patel continued to play for a win in a double-edged Sicilian Dragon against Ruifeng Li. He soon won, securing clear 2nd place. This is an incredible result for Advait Patel, who entered the tournament ranked in the lower half of the field and performed at a U.S. Chess rating of 2675, over 100 points above his rating entering the championship. There was a three-way tie for 3rd between John Burke, Akshat Chandra, and Alex Bian. Bian won an attacking miniature against Praveen Balakrishnan. The players castled their kings to opposite sides, and the game quickly turned into a race to attack with Bian having a head start due to his half open g-file. After he broke through with 18. Rxg7+!, Bian quickly checkmated. Burke drew against Annie Wang. After a dynamic middlegame, the players agreed to a draw in an equal endgame. 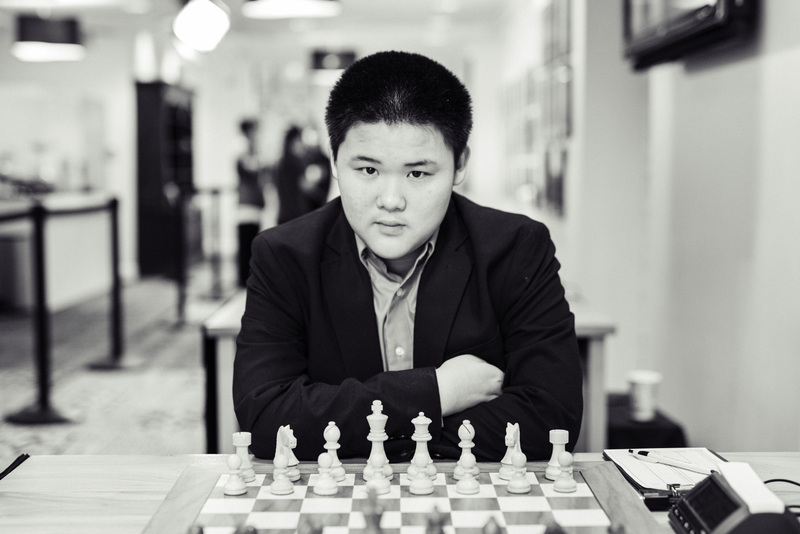 Andrew Tang won his second game in a row against Mika Brattain in an advantageous rook and bishop vs. rook and knight endgame. Carissa Yip drew against Jennifer Yu as the first game to finish, sealing clear 1st. Although Yu attempted to create checkmate threats against Yip’s king, Yip defended calmly and traded queens into a slightly better ending. 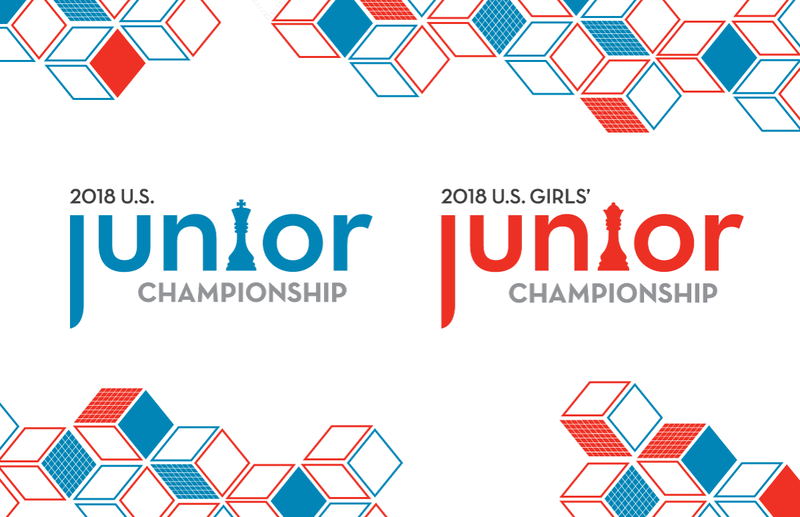 This gave the new U.S. Girls’ Junior Champion an impressive 7 point score and a 2481 U.S. Chess performance rating. 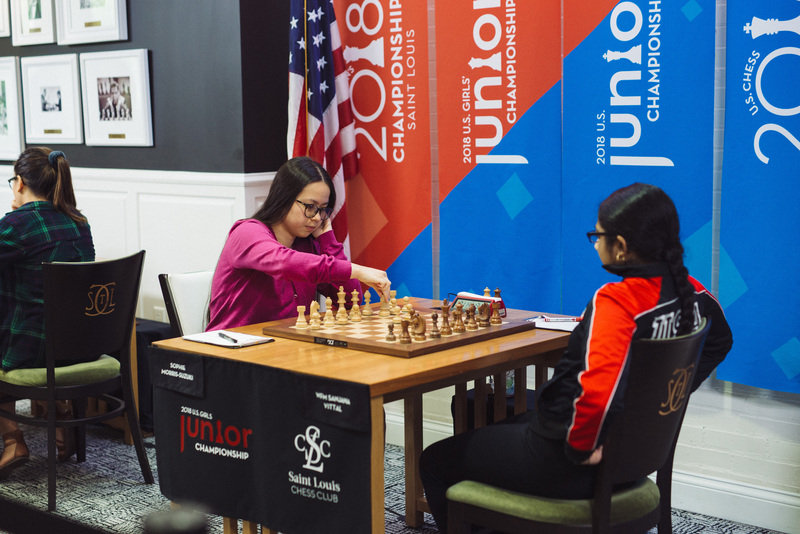 In Emily Nguyen vs. Nastassja Matus, Nguyen broke through on the queenside on the 33rd move and soon gained significant material. This victory ties Nguyen with Yu for 2nd place, each with 6 points out of 9. Maggie Feng played a back-and-forth battle against Thalia Cervantes. 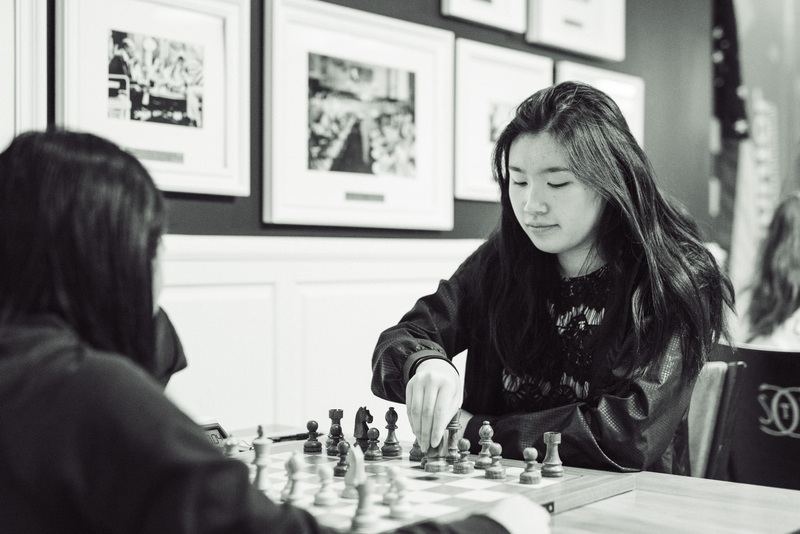 Feng eventually held the upper hand when she advanced her passed e-pawn up the board and then trapped Cervantes’s rook with her knight, gaining the exchange. Sophie Morris-Suzuki won yet another game. She stormed her pawns up the center against Sanjana Vittal. Her protected passed e-pawn significantly cramped Vittal’s position, and she won the endgame convincingly. Morris-Suzuki had a stunning second half of the tournament, scoring 3 points out of 4 rounds. 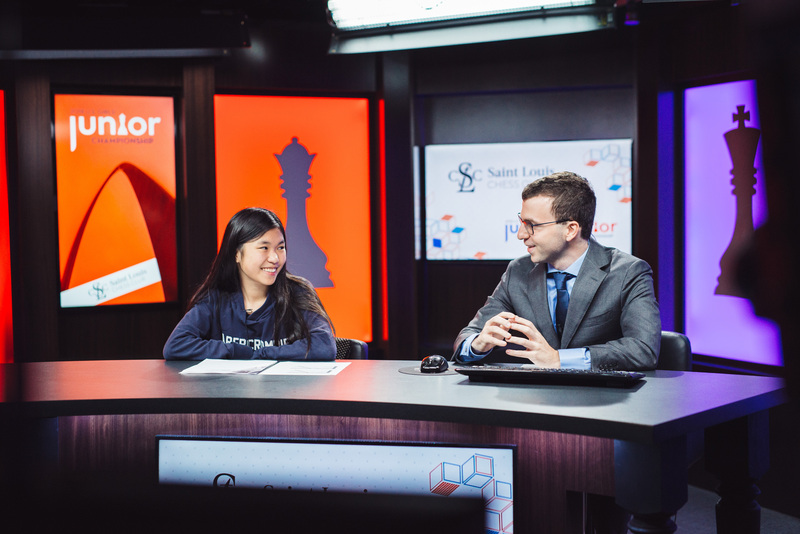 In Martha Samadashvili vs. Rochelle Wu, both players had an edge at different points but didn’t quite convert. They drew in 82 moves.